I took this photo with my iPhone at an old car show that rolls into our town and is across the street from my house every Wednesday. This is the inside of a 19…something Cadillac. 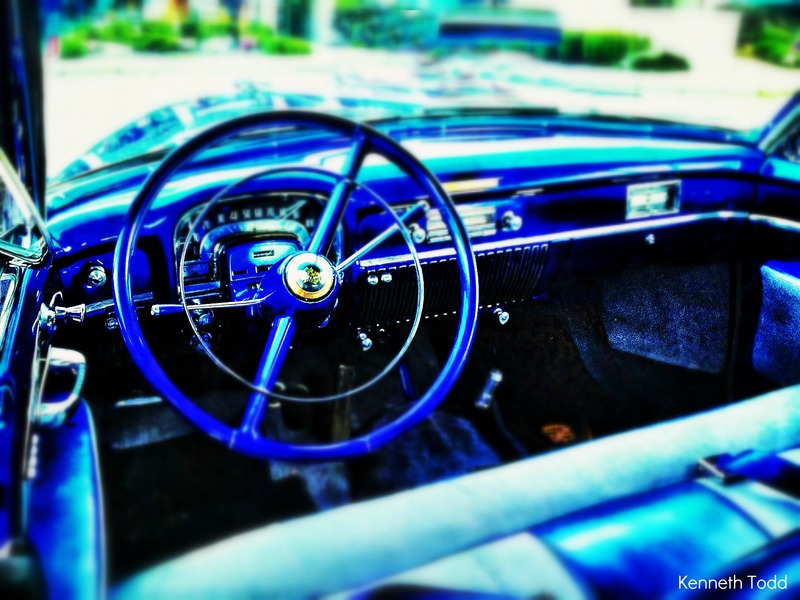 Classic cars have such great interiors. Great shot. I love Cadillacs … doesn’t matter what the age. Great image, Kenneth! great shot and I love the colors…you’ve edited it?